Leigh Gross Latherow is a veteran civil litigator and appellate attorney whose experience includes two appearances as lead counsel before the Supreme Court of the United States, and numerous appearances before the United States Court of Appeals for the Sixth Circuit, the Kentucky Court of Appeals, and the Supreme Court of Appeals of West Virginia. She has served as first chair counsel in multiple federal and state court jury trials and arbitrations. She regularly represents clients before government agencies and administrative bodies, including the United States Department of Labor, Equal Employment Opportunity Commission, Kentucky Civil Rights Commission and Kentucky Education and Workforce Development Cabinet. 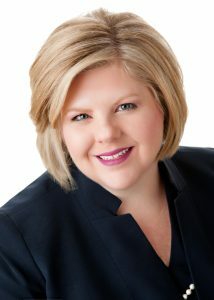 Leigh’s litigation and trial experience includes a broad range of areas, including breach of non-compete agreements, wrongful discharge, retaliation, wage and hour, harassment, discrimination, right-of-way disputes, boundary disputes, mineral lease rights, collection matters, Title VII claims, breach of fiduciary duty, premises liability, construction disputes, and medical malpractice defense. By way of example, Leigh filed suit on behalf of an international distributor against former employees for violation of a non-compete agreement and fraud when they opened a competing business. The jury awarded the distributor more than half a million dollars in damages for the wrongful actions. Leigh regularly represents employers and employees in employment litigation cases. She obtained summary judgment on behalf of an international manufacturer in defense of Title VII discrimination claims against the employer and successfully defended those cases in the Sixth Circuit Court of Appeals. She also represented a plaintiff in a retaliatory discharge case in which the employer offered a few hundred dollars to settle before suit was filed, but paid more than six figures to settle the case shortly before trial. Leigh has obtained numerous injunctions and summary judgment decisions in federal and state courts on behalf of natural gas producers. In a delay rental case, Leigh obtained a dismissal on summary judgment and successfully defended the summary judgment in the Sixth Circuit Court of Appeals, creating favorable law for the natural gas industry regarding lessee rights. Recently, Leigh successfully represented a construction company on an insurance coverage question involving in excess of $500,000.00. 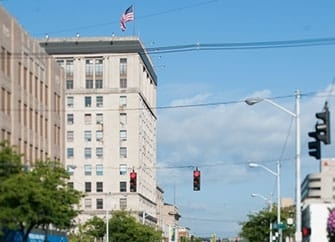 Leigh successfully argued the coverage question before the Supreme Court of Appeals of West Virginia and obtained summary judgment for the insured in the United States District Court for the Eastern District of Kentucky. Drawing upon her extensive labor and employment experience, Leigh has developed a strong human resources consulting practice. She teams with her clients to identify and prevent problems in the workplace before they arise. Services to employers include developing employee handbooks and policies, conducting supervisory harassment training, counseling to avoid whistle-blowing and wage and hour claims, conducting harassment investigations, defending unemployment claims, and providing legal advice on employment laws such as the FMLA, Title VII, ADA and ADEA. Applying her experience with these workplace problems, she has developed a human resources law training program and is regularly requested to present those topics to HR managers throughout Kentucky.